Home » Japanese Knotweed » Will a Japanese knotweed membrane help protect my property? 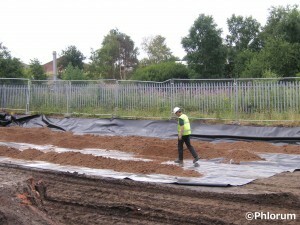 Will a Japanese knotweed membrane help protect my property? 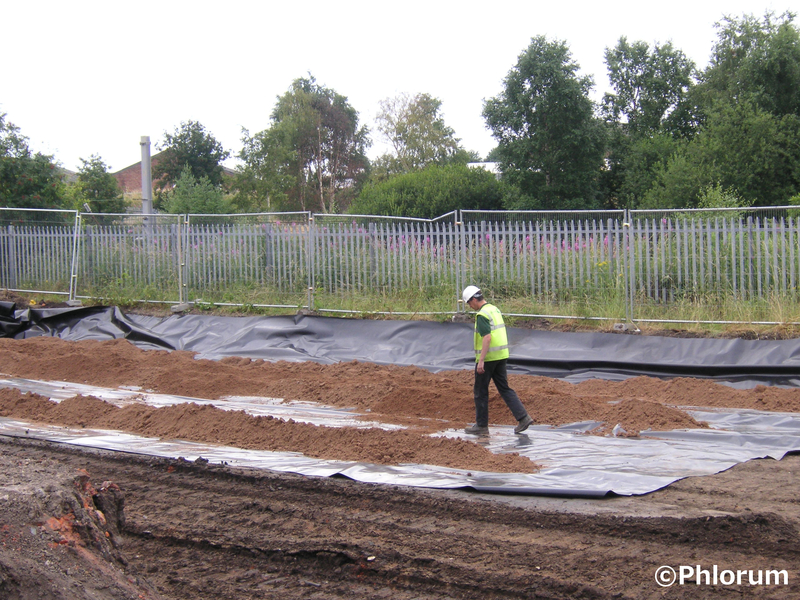 As Japanese knotweed specialists, we’re often asked about the performance and effectiveness of a Japanese knotweed membrane. What it is, how does it work and does it keep the dreaded invader at bay? After all, the plant can work its way through concrete and tarmac, so how well can a membrane actually work, and for how long? What is a Japanese knotweed root barrier? And how does it work? A root barrier is a physical membrane that protects structures and stops encroachment of knotweed. It’s often used along with other methods like herbicidal treatments, excavation, screening and sifting, helping to prevent the plant’s spread. It is effectively a preventative measure. It’s important to remember that a root barrier’s performance depends on how well it’s laid. It’s an expert task, requiring fitting that redirects spreading roots and limits their extension until they run out of energy before they can produce aboveground shoots. This in turn reduces the plant’s strength and cuts its ability to spread. How deep should the barrier go? The membrane should be dug into the earth vertically, as deep as three metres since the plant’s rhizomes can grow this deep – sometimes even further! As long as the barrier is laid deep enough in the ground, and the knotweed is prevented from thriving (e.g. by spraying the aboveground growth with herbicide), it can’t grow underneath it. In some situations the barrier must also be fitted so it surrounds the affected area completely, so the plant can’t escape. It’s vital the membrane isn’t damaged because the smallest tear or hole can let the plant through. If necessary, sealing overlapping membranes is also crucial, and it’s far better to have a seamless barrier than one with seams, which can be a weakness, causing a breach in the membrane. This means that in order to avoid overlaps, you quite often need a very large expanse of membrane material in order to cover an entire knotweed area. Some barrier materials become weaker when exposed to sunlight. The most effective barriers are resistant to UV light damage, so if they are ever exposed to sunlight the material will remain impervious. And it has to be of a good enough quality, sturdy and strong enough to last for at least half a century; most manufacturers offer guarantees on their products for 25 years or more. As you can tell, Japanese knotweed is a serious adversary and every care has to be taken to ensure an absolutely perfect job. It may seem extreme, but this plant dictates extreme measures. An expert Japanese knotweed eradication specialist, with the necessary training and experience (e.g. an approved member of the Property Care Association Invasive Weeds Control Group), will be able to provide an Insurance-Backed Guarantee for their work. This level of protection is necessary for many financial institutions involved in property transactions, in order for them to approve mortgages and other lending on knotweed-affected property or land. Yes, but it isn’t recommended and you won’t be able to satisfy a lender with an appropriate Insurance-Backed Guarantee. Ideally you need the services of a professional to assess the extent of the problem and create a removal and control plan. You’re far better off spending time identifying a good quality knotweed solutions provider so you know the best possible job will be done and you can relax in the knowledge the barrier will do its job for decades to come. If you’d like to know more, contact us.